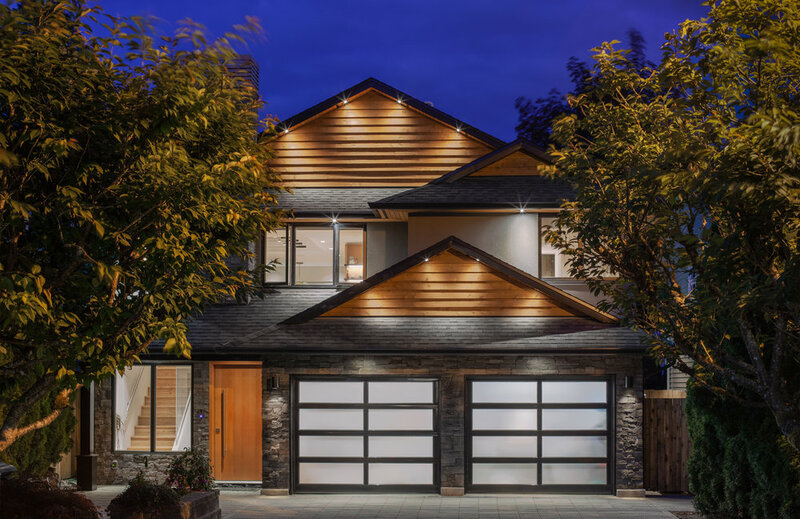 This 1980’s suburban Deep Cove house was rejuvenated tip-to-tail. 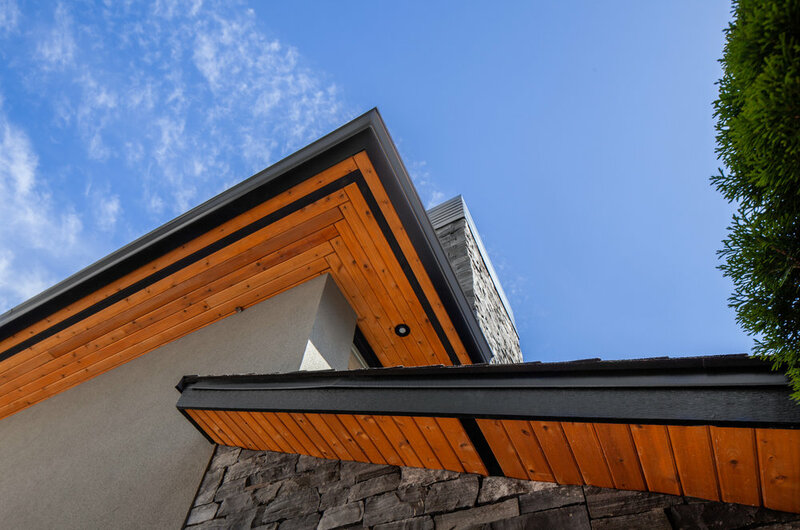 The vinyl siding exterior was stripped back to sheathing, and the home built out with new air-tight exterior insulation and a mix of stucco, stone and clear-coated cedar. 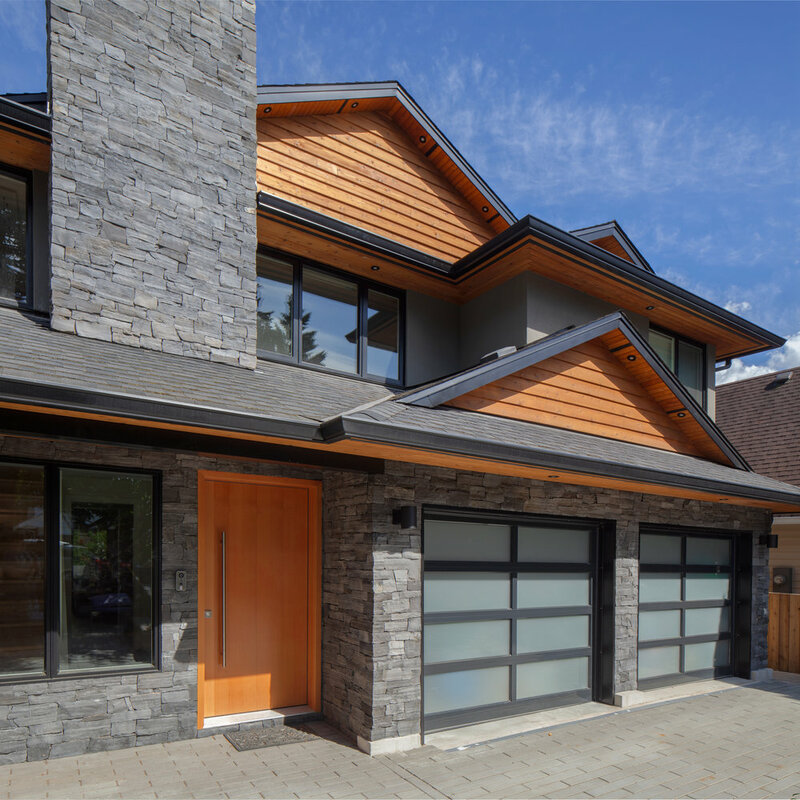 New windows, garage doors and a modern slab fir entry door with linear pull were added, while a new paver driveway and accent lights in the cedar soffits complete the approach. Inside, the West Coast modern palette continues. 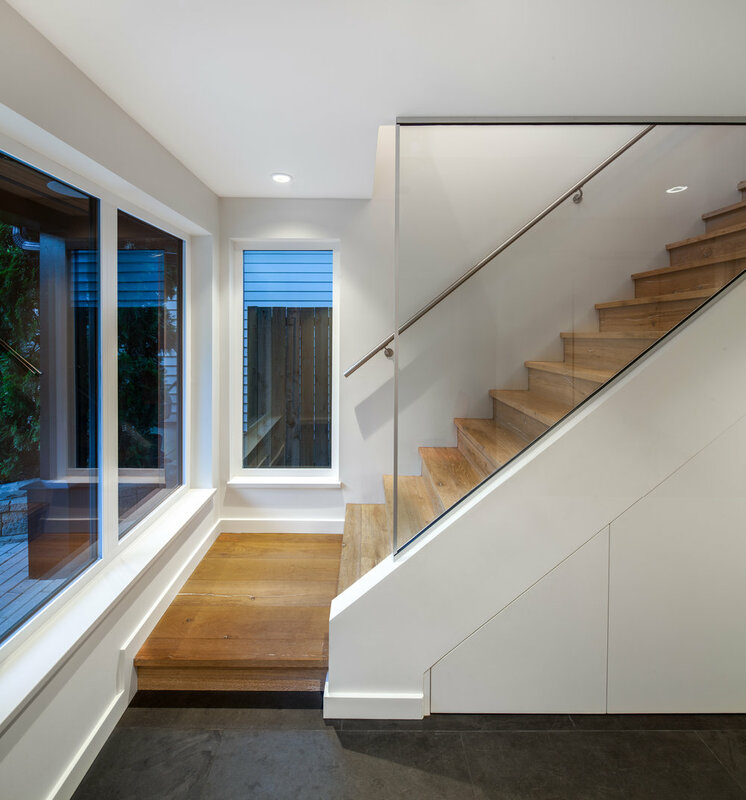 Heated slate tile in the front entry is a warm first step, as the glass-trimmed stairwell leads you upstairs into the living space. In the kitchen, custom fir millwork, backpainted glass backsplash, concrete-textured quartz counters and stainless appliances are both contemporary and timeless. The skylight above the kitchen island is a particularly stunning addition — the trusses were exposed when the opening was created, and strengthened with custom powder-coated black iron hangers for a unique, visual structural element. 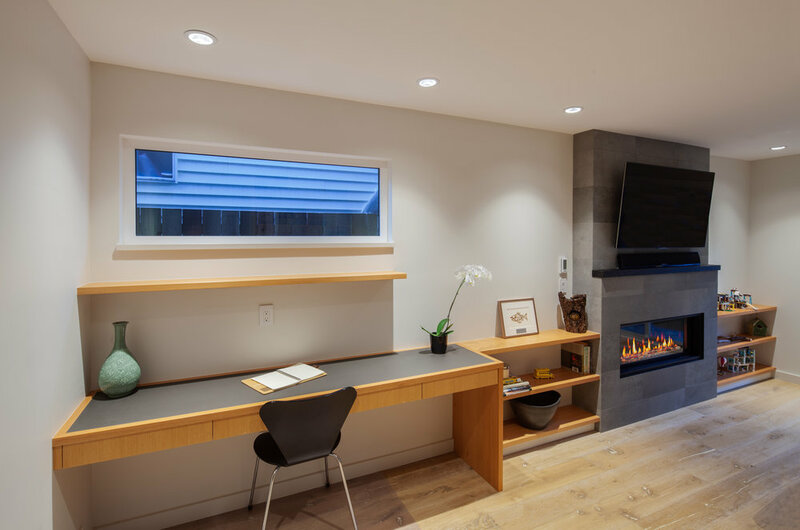 Elegant accents such as Bocci lights above the front entry stairs and dining table, a cable light strung through the skylight trusses, and a leather desk writing surface enhance the modern look. The master bath steam shower offers a range of lighting options to create an atmosphere for any mood — and ceiling speakers connected to the fully connected home system from AV Lounge help welcome the family home after a day on the Mt Seymour bike trails, right outside their front door.